It is a more easy and efficient way to build your own LED scoreboard. Team name, score points, time, message, and video can be shown on the scoreboard in various size, color and layout. You may use Android tablet, smart phone, console or PC to control it. We can custom design a scoreboard and control system to suit you. Scoreboard for any sports. Standard layouts and custom designed are both available. Scoreboard in any size. A wide selection of 7 segment LED module for score point display and matrix LED module for team and text message display. Various ways to control. 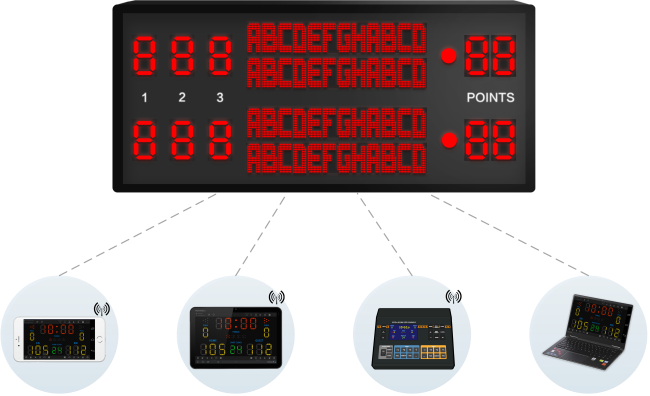 Professional score console, PC, tablet, smart phone can be configured to be a scoreboard controller in wire or wireless mode. Flexible combination of parts. 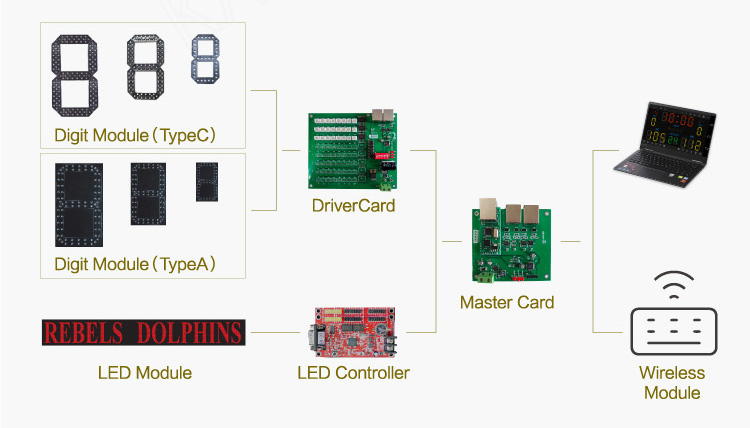 Any parts of scoreboard including LED module, driver card, master card, custom software can be ordered separately.